Our experts can give your bath a quick, but long-lasting update with our quality products and fast installation services! A bathroom remodel is one of the best ways to add value to your Lubbock home, and Bath Planet of West Texas has affordable options to transform an outdated bathroom in as little as one day. Our bathroom remodeling company has been recognized as the “Best of the West” by KCBD Channel 11, and that’s just one of many accolades we’ve received over the years! With an eye toward providing exceptional customer service, we make sure to listen to every customer’s bathroom remodeling needs before making any suggestions. Not everyone wants the same things in a bath remodel. That’s why we offer a large selection of bathroom remodeling products. We make it easy to find exactly what you want! If you’re ready to say goodbye to your old bathroom, make Bath Planet of West Texas your first call! We can transform your bathroom in as little as one day, and for a fraction of the price of a traditional remodel. If you’ve been putting off a much-needed bathroom remodel because you think you can’t afford it, think again! Our affordable pricing and attractive financing options make it easy to take your bathroom from blah to beautiful! 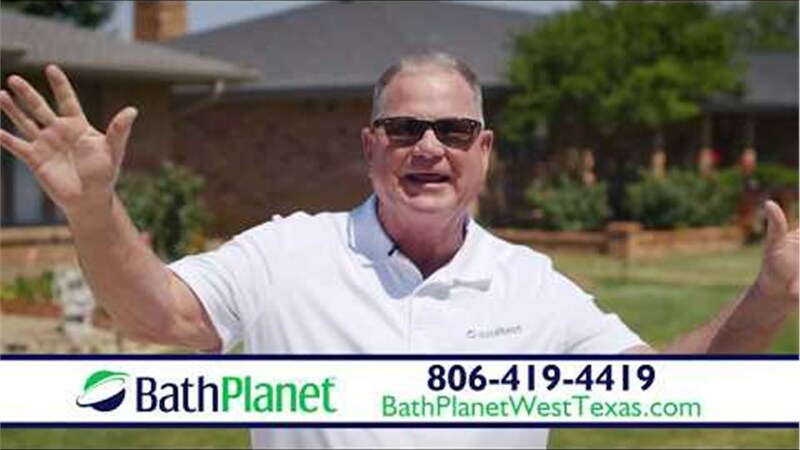 Give Bath Planet of West Texas a call today or fill out our online contact form to request your free, no-obligation estimate.